Land Destroyer: Wall Street Vs. Kremlin: Who Really Runs the White House? By blaming Russia for America's most abhorrent problems and most unforgivable policies, Wall Street is given another 4-8 year free pass. October 1, 2017 (Tony Cartalucci - NEO) - Perhaps the only thing more incredible than quickly expanding conspiracy theories regarding the Kremlin's influence over the White House is who is selling them and who is buying them. 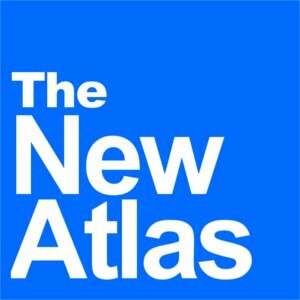 Organizations popping up overnight with advisory boards lined with Neo-Conservatives who came to prominence during the administration of former US President George Bush and who became notorious for selling the 2003 US invasion of Iraq based on intentional fabrications, now find themselves building an audience of unlikely political allies - left-leaning liberals. 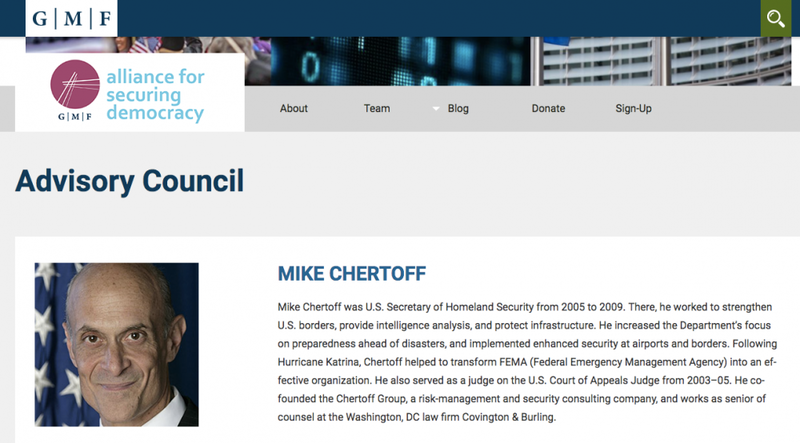 An organization that accuses Russia and in particular, President Vladimir Putin for undermining US elections, inferring Russia's responsibility for Hillary Clinton's defeat, counts among its advisory council Michael Chertoff, a Bush-era Neo-Conservative who served as President Bush's Secretary of Homeland Security. There is also David Kramer who served in the US State Department under President Bush, served as president of the Neo-Conservative chaired State Department front, Freedom House, and currently serves as a member of the advisory council for the George W. Bush Presidential Center's "Human Freedom Project." 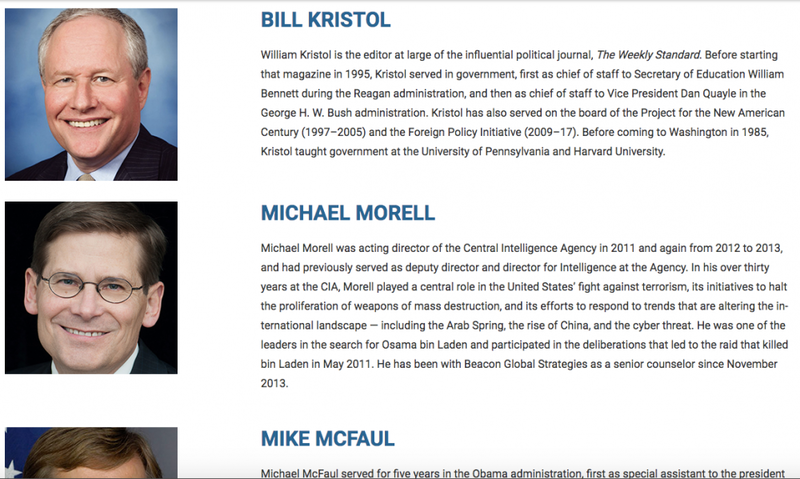 Michael Morell - who recently declared interest in killing Russians and Iranians in Syria as the armed forces of all three nations fight Al Qaeda and militants of the so-called Islamic State - also serves as an adviser. He has worked in the US Central Intelligence Agency (CIA) for over 30 years, and is currently a senior counselor at Beacon Global Strategies - an organization that appears to specialize in professional warmongering - along side other former US State Department, Department of Defense, and CIA employees. Michael Rogers, a former US Representative for Michigan and a Republican along with Admiral James Stavridis who helped wage President Bush's wars and also serves as an adviser for the above mentioned Beacon Global Strategies help round off the advisory board. A similar list of Neo-Conservatives and long-time warmongers fills out the "Committee to Investigate Russia" (CIR) who recently made headlines when they hired veteran actor Morgan Freeman to appeal to audiences' emotions rather than their intellect. CIR includes Max Boot, James Clapper, and Norman Ornstein who occupy various seats and positions at corporate-financier funded think tanks ranging from the Council on Foreign Relations to the Center for a New American Security, to the American Enterprise Institute all of which share sponsorship from big-oil, big-defense, big-banks, and big-industry - in other words - Wall Street. 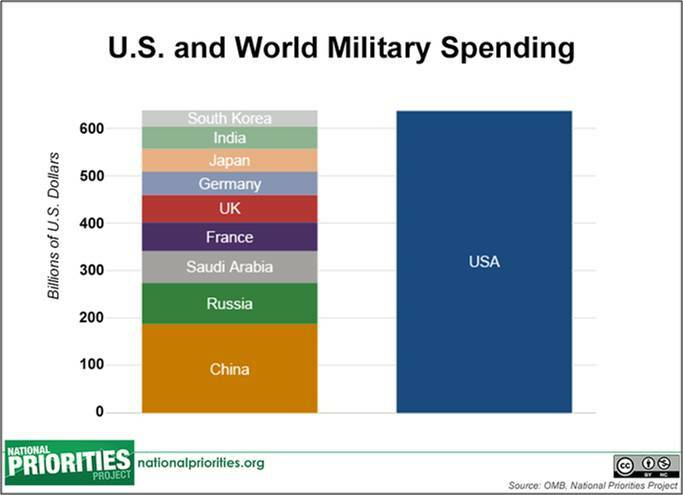 The Russian military budget, estimated at around $70 billion, when compared to the annual net sales of a single Wall Street defense contractor - like Lockheed Martin for example at around $50 billion in 2016 - helps further put the actual "reach" of Russia in perspective versus interests upon Wall Street. Not only do US corporations and financial institutions possess an immense advantage in resources and influence in general, they also enjoy the benefit of proximity - many operating offices or employing lobbying services located directly in Washington D.C. The administration of current US President Donald Trump consists of representatives from these Wall Street corporations and financial institutions - many of them representing the same interests who composed former US President Barack Obama's administration and who would have composed Hillary Clinton's administration had she prevailed in the 2016 election. 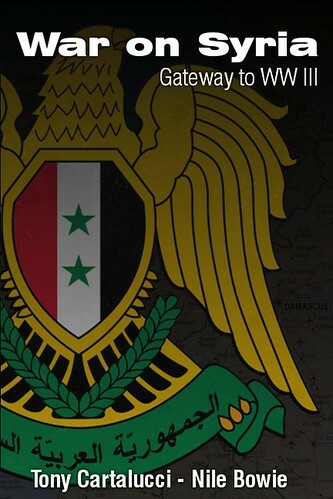 These interests include large banking institutions, the defense industry and big-oil. 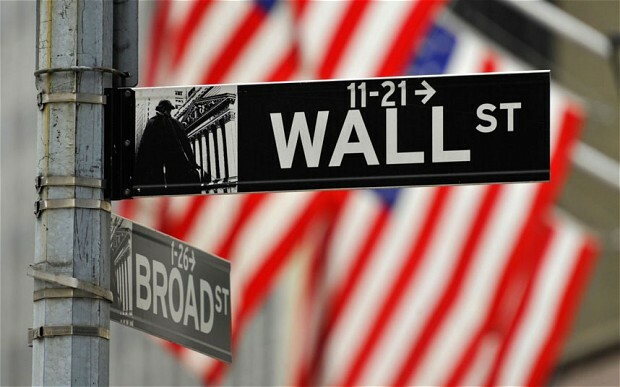 While supporters of President Trump blame the "deep state" for his inability to make good on campaign promises, and opponents of President Trump blame "Russians" for his apparent disregard for America's best interests - it is clear that Wall Street is responsible for both - as it was during President Obama's administration before him and for decades before him- and as it would have been had Hillary Clinton won the election. They are able to do this by exploiting anger and frustration following the 2016 presidential election - regardless of the fact that virtually all of President Trump's "decisions" including expanding wars in Syria, tensions with North Korea and Iran, as well as imposing crippling sanctions on Venezuela were all policies pursued by President Obama and promoted eagerly by Hillary Clinton both in her role as US Secretary of State and on the campaign trail. 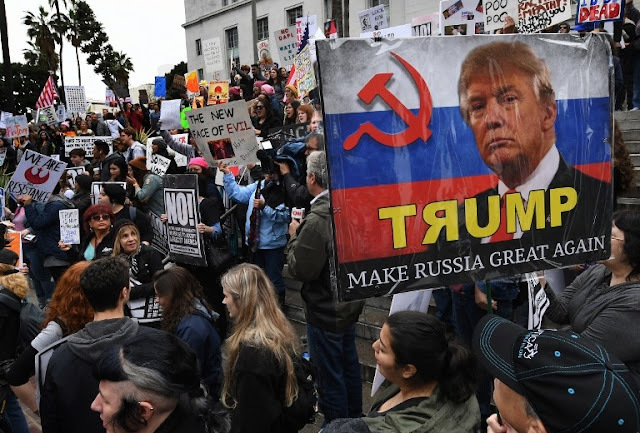 Angry and frustrated Americans who might otherwise be tempted to trace the money and motivations underpinning the Trump administration's flawed policies to Wall Street, are now being intentionally diverted with accusations of "Russian" interference. Instead of exposing and condemning corrupt corporations like Lockheed Martin, Boeing, Raytheon, Exxon, and BP, or financial institutions like Goldman Sachs, Americans are looking for Russian influence that simply does not exist. Nearly a year after President Trump stepped into office, no significant evidence has emerged implicating Russia or even providing a cursory explanation as to how Russia has managed to eclipse Wall Street's influence over the White House. It is another unfortunate case of emotions and ignorance prevailing over suspicion and due diligence. Many are now genuinely concerned regarding "Russian influence." Others are opportunistically joining this modern day witch hunt for notoriety and attention, while others still are simply paid lobbyist like those lining the advisory boards of the "Alliance for Securing Democracy" and the "Committee to Investigate Russia." The White House is supposed to represent the American people. Instead, it represents Wall Street. The corporations that constitute Wall Street enjoy the wealth and influence they currently hold because Americans are easily diverted from recognizing and addressing this unwarranted concentration of power. While Americans fight themselves and phantom Russians, they continue paying their monthly paychecks into these corporate-financier monopolies, enhancing Wall Street's control over a White House that is supposed to belong to the people. Should Americans put aside their witch hunt for "Russians" and recognize the true interests holding power over the White House, they may find common ground that transcends race, religion, and even politics long enough to expose and address the disparity of wealth and influence in America that has existed and divided the American people long before President Trump took office. Emotional appeals to the public featuring Hollywood actors, graphs and articles laced with weasel words such as "likely," "apparently,""allegedly," and "possibly," and even outright disclaimers admitting nothing resembling evidence underpins accusations should immediately provoke suspicion and investigation - not blind hysteria. 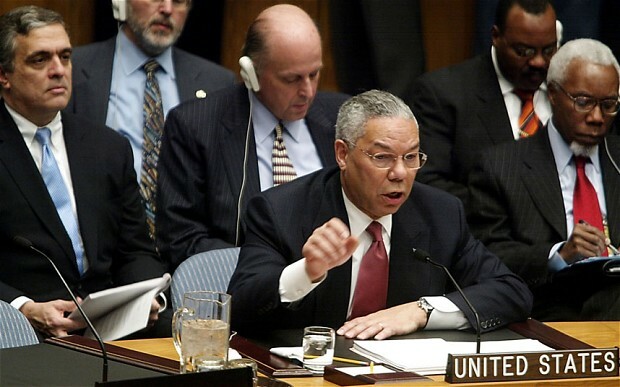 The very same interests who sold lies regarding Iraq and "weapons of mass destruction" to American conservatives to initiate a war of aggression that left a million Iraqis dead along with thousands of US troops is now selling similar and equally baseless lies to America's liberals regarding Russia. Those who oppose the policies presided over by US President Donald Trump need not embrace them. Indeed, they should vehemently oppose them - however, they must identify the true special interests influencing these policies on Wall Street rather than chasing phantoms those who claim they exist know will never be found or caught in the far-off Kremlin.